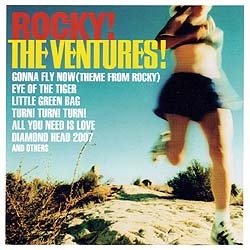 Ventures: June 2007 CD Rocky! 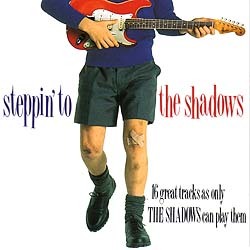 For The Shadows Hank Marvin turns in a fluent and expressive performance of this striking piece, rising above a somewhat leaden accompaniment. Bob Bogle is on lead for The Ventures on this track (and the two concluding tracks of this survey). There is no tinge of dignity or melancholy about their rendition, rather it is brash and in your face, with emphatically ringing lead, decidedly pronounced bass accompaniment and loud swirling synths; the vocal trimmings impart some welcome warmth but come and go rather erratically.